A-HOTEL.com - Luksusowe i tanie hotele w Bearspaw, Kanada. Rezerwacja zakwaterowania w Bearspaw i okolicy. Jest to orientacyjny oferta najbardziej zarezerwowane noclegi w Bearspaw po raz ostatni, i jest w rankingu najniższych cen. Aby wybrać zakwaterowanie według własnych preferencji, proponujemy do wyboru w sumie 1 ofert noclegów w Bearspaw. Poprzez wpisanie daty pobytu w Bearspaw i za pomocą narzędzi filtrujących można sortować najlepsze możliwe zakwaterowanie dla Ciebie. Wprowadzone daty pobytu, są kluczowe dla najbardziej dokładne oferty, ponieważ wywodzi się wszystko online informacji o cenach i dostępności Bearspaw zakwaterowania. Następnie można zarezerwować wybrany noclegi w Bearspaw (hotele, apartamenty itp) bezpośrednio. The Barn in Bearspaw offers accommodation in Bearspaw. Free private parking is available on site. With a terrace and a shared lounge, 卡城西北区芙蓉姐民宿 provides accommodation with free WiFi. There is a fully equipped shared bathroom with shower and free toiletries. Set in Calgary, 12 km from Crowchild Twin Arena, Holy Garden provides a garden. Located around 19 km from McMahon Stadium, the guest house is also 22 km away from Devonian Gardens. Located in Calgary, 3.6 km from Crowchild Twin Arena, Spacious 2 bedroom Suite in Amazing Arbour Lake features rooms with garden views and free WiFi. Located 5 km from Town Of Cochrane-Arena in Cochrane, La Casita Bella Vista offers accommodation with a kitchen. The accommodation is 7 km from the Spray Lake Sawmills Family Sports Centre. Located across from Canada Olympic Park (COP) and along the Trans-Canada Highway, this non-smoking hotel offers on-site dining options and modern guestrooms featuring free WiFi. A cable TV is available in each room at the Sandman Hotel and Suites Calgary West. Boasting Rocky Mountain views, this Calgary hotel offers a balcony in all rooms. A restaurant and a wellness spa are featured and a swimming pool offers indoor recreation. 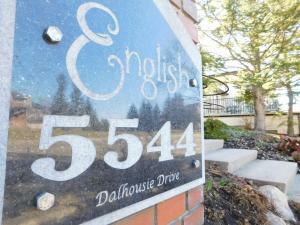 This Calgary bed and breakfast is within a 15-minute drive of the University Of Calgary. This cozy inn offers panoramic views of Bow River Valley and rooms with free Wi-Fi. Executive New Build offers accommodation in Calgary, 5 km from Crowchild Twin Arena. The property has garden views and is 7 km from Devonian Gardens and 8 km from McMahon Stadium. Featuring free WiFi, Calgary Cozy Home is situated in northwest Calgary, 2.7 km from Crowchild Twin Arena. English B&B & Spa is located in Northwest Calgary. A daily gourmet breakfast is served each morning. Offering a sun terrace and views of the mountain, Pepper's Home is set in Calgary in the Alberta Region, 4 km from Crowchild Twin Arena. Some rooms include a seating area for your convenience. Located just 1 kilometre from shopping at Market Mall, this Calgary Bed and Breakfast features a patio with barbecue facilities and private en suite bathrooms in each accommodation. Free Wi-Fi is also available. The Rockyview Hotel, built in 1904, is situated in historic Cochrane, Alberta. The Calgary International Airport is 33 km away, while Banff is approximately 1 hour's drive away. Located on the Trans-Canada Highway next to Shouldice Park, this Calgary motel features free Wi-Fi in every room. Canada Olympic Park is 5 km away. Red Carpet Inn & Suites is set in the North West Calgary district in Calgary, 3.1 km from McMahon Stadium and 3. Located in Calgary, 7 km from Devonian Gardens, 12 km from Kensington and 13 km from Calgary Tower, Gorgeous 3BR Townhouse Easy Access to Rockies & DT features accommodation with a balcony and free WiFi. Guests have a private patio. Calgary University is just 2.3 km from Traveller's Inn. This Alberta boutique motel is 10 km from downtown Calgary and 6 km from the University of Calgary. The motel offers free Wi-Fi, an internet café and rooms with a flat-screen TV. Situated in Calgary, within 7 km of Devonian Gardens and 11 km of Kensington, Executive Guest Suite offers accommodation with a fitness centre and free WiFi. In a prime location in the Southwest Calgary district, this guest house is located 12 km from McMahon Stadium.